Stable for at least 6 months from date of receipt under proper storage and handling conditions. 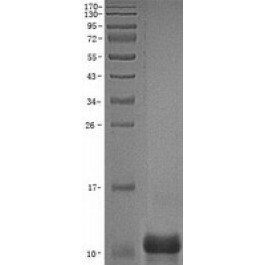 ED50 is greater than 200 ng/ml as determined by an IGF binding protein assay. Lyophilized from a 0.2 µM filtered solution of 300mM HAc-NaAc, pH 6.5. Stable for at least 6 months from date of receipt under proper storage and handling conditions.